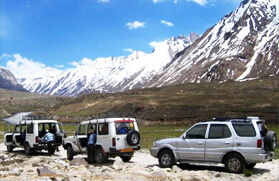 Sacred to some and thrilling to others, Chardham jeep safari circuit carries an immense significance in the Hindu culture. According to the Hindus, colloquial meaning of the term is four well-known dwellings of the Hindu Gods namely Yamunotri (the source of Yamuna river), Gangotri (the source of Ganga river), Badrinath (the source of Alaknanda river), and Kedarnath (the source of Mandakini river). Visiting these temples can help you to attain enlightenment and opens the gates of salvation by washing away all their sins, so says the saints. Along with the Chardham sites, Yamunotri, Gangotri, Kedarnath and Badrinath, this 14 days tour will take you to other sacred places in Uttrakhand like Haridwar, Rishikesh, Uttarkashi, Guptakashi, and Joshimath. This arduous journey commences from Haridwar; further, it will get you to Barkot, Yamunotri, Harsil, Gangotri, and Uttarkashi. After enjoying an overnight camp at Uttarkashi, your will visit Gaurikund, the base camp from where the Kedarnath Yatra begins. 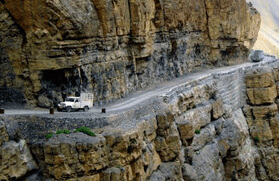 After completing a 28 km long strenuous trekking stretch, both ways, you will embark on a drive to Badrinath and then Rishikesh, the final destination of the Chardham jeep circuit. On arrival in Rishikesh, you will be transferred to a hotel for overnight stay. And on the following day, you will be boarding a train to your respective cities. 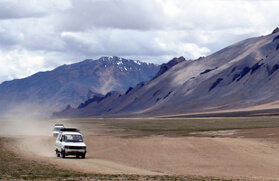 Marked as moderate trip on the grade scale, this jeep safari though looks very enticing but is not meant for the faint-hearted people as the roads are bumpy. But despite so many challenges, people are often seen taking up this challenge, which reflects their belief in God against the strongest force of nature. 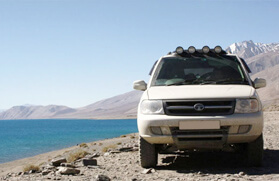 If you are interested in taking up this jeep safari expedition, then do drop us a mail. 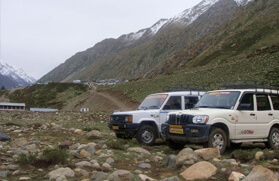 We will help you to make your Chardham Jeep safari tour a memorable one. See below for the complete itinerary. Upon arrival in Delhi, you will transfer to hotel in Delhi for an overnight stay. Board an early morning train from New Delhi for Haridwar. On arrival in Haridwar, you will be transferred to a hotel. The evening will be free at leisure. Dinner and overnight stay in Haridwar hotel. Day 03: Haridwar to Barkot/ By surface / 230 Km/ 7 Hrs. Early morning, after breakfast, set forth for a drive to Mussoorie. 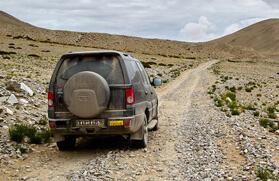 Further, you will go for a drive to Barkot, which will be our camping site for overnight stay and dinner. Post breakfast, commence your drive to Hanuman Chatti, which is 30 km away from Barkot. Further, a 5 km drive from Hanuman Chatti will take you to Phool Chatti. After reaching Phool Chatti, you will have to climb for 7 km to reach Yamunotri, your first Chardham site. After seeking blessings at the temple, following back the trail to reach Barkot. Overnight stay and dinner at Barkot. 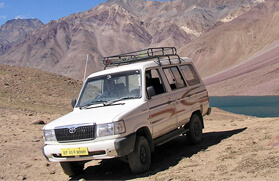 In the morning, you will embark on a 152 km drive to Harsil via Uttarkashi. Overnight stay and dinner at Harsil. Today, you will be visiting the second temple of Chardham circuit, Gangotri, the seat of the goddess Ganga. 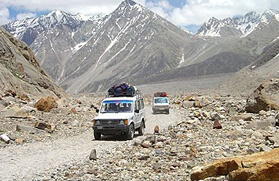 After spending some time at the temple, drive back to Utrakshi, which will be your today's site for overnight stay and dinner. Post breakfast; embark on a drive to Guptkashi. Today's journey goes along the Mandakini river till you will reach Guptakashi late in the evening. Check in to your accommodation on arrival for the overnight stay and dinner. 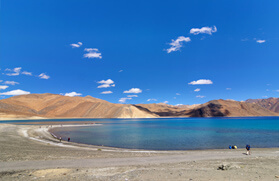 After breakfast, embark on a drive to Gaurikund from where a tough trek is for you with all its wonders. On arrival check in to your accommodation and visit Shri Kedarnath- the next DHAM on this religious circuit. Dinner and overnight stay at Kedarnath. Early morning, seek the blessings of God and trek back to Gaurikund. 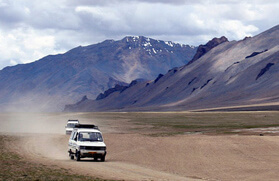 From Gaurikund, you will drive to Guptkashi for the overnight stay. 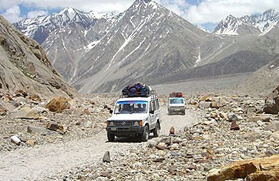 Early morning, drive to Joshimath via Chopta, throughout the journey you can behold the view of mountains. Enjoy the beautiful drive through the thick medicinal forest and stop at Pipalkoti for refreshments or lunch. Dinner and overnight stay at Joshimath. 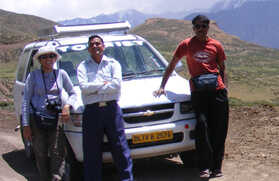 Set forth for a drive to Badrinath, fourth and the last temple of the Badrinath circuit. On arrival, you will visit the temple and later walk to Mana village, the last village towards the Tibetan border. Badrinath, the abode of the Lord Vishnu, is the far-famed Char Dham pilgrimage in India. Rest of the evening will be free for leisure. Dinner and overnight stay at a hotel in Badrinath. After breakfast, return to Rishikesh via Srinagar. On arrival in Rishikesh, you will be transferred to a hotel for overnight stay. Early morning, board a train for Delhi. Upon arrival in Delhi, you will be transferred to hotel for overnight stay and dinner. 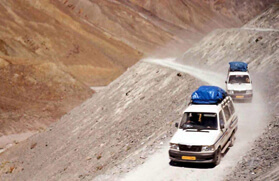 After enjoying some sightseeing in Delhi, you will be transferred to International Airport. Thereupon, you can board a flight to your respective cities.